Wayne Pearson's extraordinary exhibition, Voices in the Glass offers the visitor two styles of glass making to view: reverse painted, fired glass enamel portraits of people involved in the Australian Studio Glass movement and cast glass sculptures. Wayne interviewed nearly 70 people associated with glass and these portraits capture the distinctive personality of his subjects, letting you in to glimpse the temperament, disposition and spirit of each person. They are conversations with a community. They are the individual stories and associated histories revealed through physiognomy, posture and gesture. 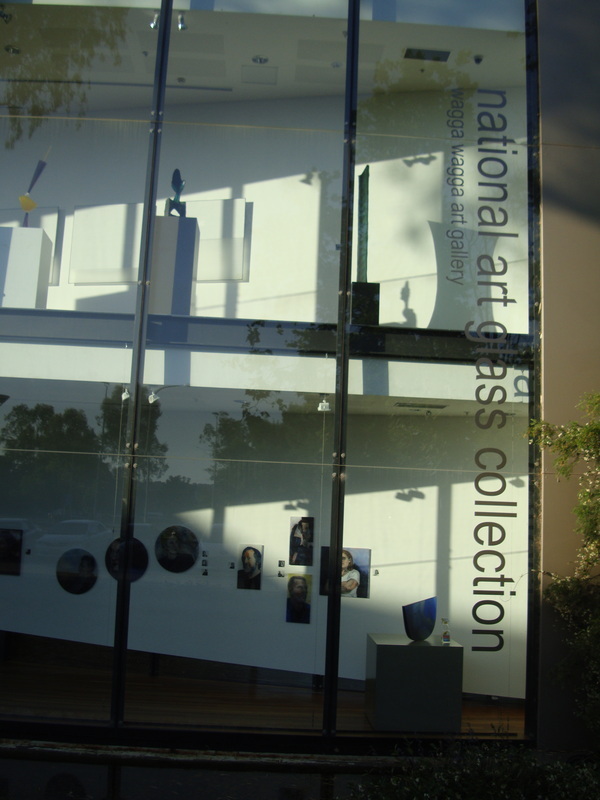 The cast glass sculptures demonstrate the energy and versatility of glass. With the power to suggest form within formlessness, glass is open to the constructions of our desire. The aesthetic response stimulated by these beautiful objects results in the viewer drawing his or her individual meaning and response. 3 years of consistent endeavour, experimentation and creative energy has seen Wayne Pearson produce an astonishing collection of portraits and abstract sculptures to stimulate your imagination.